Reservations made after the deadline are subject to availability and will be at the rate of $35 for members or $40 for guests. 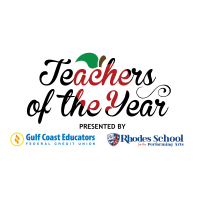 The Teacher of the Year luncheon honors exceptional teachers from area public and private schools and Lone Star College - Kingwood. It is the business community's opportunity to thank our area educators.